“Circus—Wandering City” will be performed September 15–17 at Hudson Hall. Characterized by daring acts of heroism and thrilling displays of courage, the circus has delighted the American consciousness for generations. However, the advent of increasingly convenient forms of home entertainment—an evolution that has taken us from the humble VCR into the abyss of a never-ending Netflix queue—has made 21st-century leisure time more of a daily expectation than a special event. As a result, the art form of circus has suffered a gradual decline, eventually forcing even mainstays to close down. Ringling Bros. Barnum & Bailey held their final performance in May. Fortunately, the acclaimed Ethel string quartet hopes to keep the spirit of circus alive with "Circus—Wandering City": a brand-new multimedia spectacle that will be previewed exclusively at the recently renovated Hudson Hall for three nights of music, history, and excitement. (The piece will premiere at the Ringling's Asolo Theater in January 2018. With a combination of original music and rare footage from the Ringling Museum archives, Ethel aims to pull Hudson Valley residents away from the LCD glow of their television screens to share a communal experience of wonder reminiscent of the big top itself. To the modern listener, circus music is most likely associated with goofy melodies and ice-cream-truck marches. 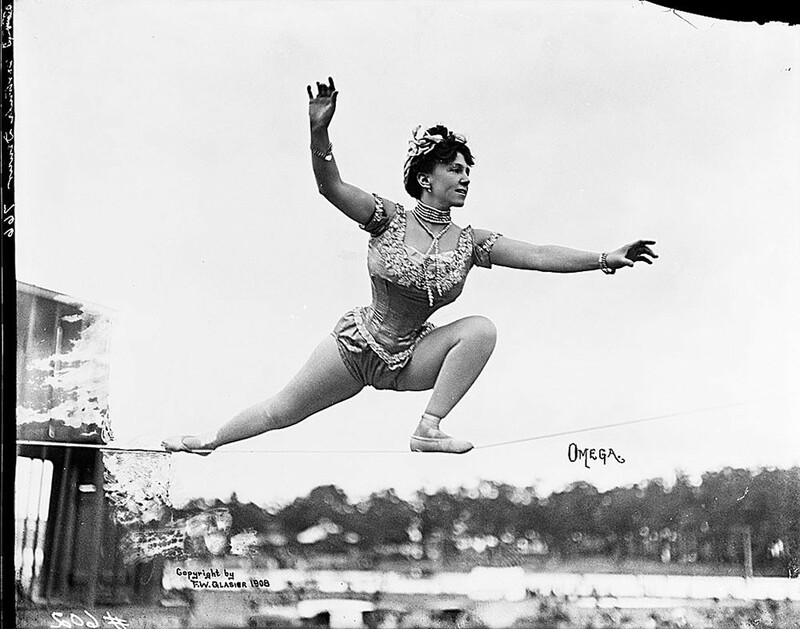 But have no fear: Ethel does not attempt to replicate a period-specific sound, preferring to use their more contemporary vocabulary to depict the drama of the circus. 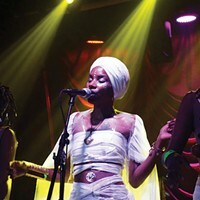 Any lingering reservations should be allayed by the group's long list of collaborators, an impressive and versatile company of veteran performers such as David Byrne and Kaki King. Still, observant listeners are sure to note reverent allusions to circus classics hidden within Ethel's dynamic compositions. Although Ethel's original concert music was inspired by archival footage from the Ringling Museum—which commissioned the piece—the performance represents much more than just a history lesson. According to Ethel's cellist Dorothy Lawson: "We're not trying to do an essay about circus, we're trying to enliven it and bring it into the room. It became a further inquiry into the universal human archetypes that circus expresses so well." Rather than tell a purely chronological tale, Ethel chooses to focus on depicting a grand narrative of the human spirit, hoping to communicate intense feelings of heroism, fearlessness, and community by musically evoking the passion of circus performers completely dedicated to their craft. In their efforts to do so, each member of Ethel found that they were uniquely drawn to certain aspects of the circus story. Violist Ralph Farris was particularly intrigued by the emotional caricatures of clowns; violinist Kip Jones was fascinated by astonishing feats of strength and daring; violinist Corin Lee became enamored with the awe and wonder that accompanies each performance; and Lawson was inspired by the women who could flawlessly execute demanding acrobatics while smiling in the face of danger. Indeed, Lawson has even incorporated her own death-defying stunt into the program: audience members will be able to see her walking around the stage while playing her cello—a fearless act of showmanship performed in the spirit of the circus' blend of danger and beauty. At its core, "Circus—Wandering City" is a celebration of the human ability to band together and create something larger than each individual. Much like the circus itself, the joy of Ethel's performance lies in its ability to create a common feeling of shared emotion and experience. "Circus is an extremely demanding, dedicated art form, but the essential power in it is the identification with everyone," Lawson says. "You want the distance to disappear for a while between you and everyone else. Somehow, you all become part of this effort." "Circus—Wandering City" will be performed September 15–17 at Hudson Hall at the Hudson Opera House. Tickets are $35. 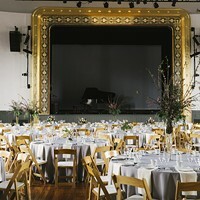 (518) 828-1438; Hudsonhall.org.